Backpacks are great entities for many of us. So much so that a good sturdy backpack often becomes our favourite companion for life. 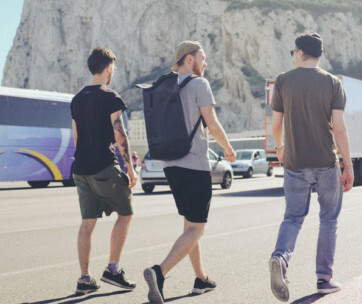 Whether for work, studies or for those who love to explore the world, backpacks offer an easy and quick way to get your gear organised in one space. 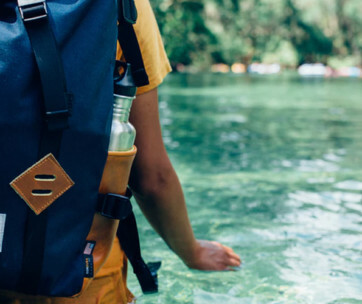 Currently on the market, there are many brands of backpacks that promise high capacity for little to no weight, while others focus more on offering water-resistant and general weatherproof features. Many have been tried and tested, but the Columbia brand stands true. 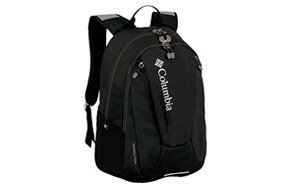 Columbia effortlessly fuses functionality and style to create masterpieces created for the most avid backpack user. Here are some of the best Columbia backpacks to look out for. When shopping for your next college, work or travel backpack, this Columbia Neosho Daypack should be at the top of your list. It is excellent for day to day usage as it features a spacious main compartment, a padded space for your laptop and an organiser that keeps you and your gear in check at all times. This bag is also great for hiking and outdoor activity, as its comfortable to wear and keep on for long periods. The Neosho features a pair of padded, contoured shoulder straps for your next adventure, a space at the side for your water bottle and a stretch cord that helps in tucking in your fleece or rainwear. You will love this bag! The Columbia Sportswear Northport Day Pack is the perfect trail companion to help you transition through locations seamlessly. 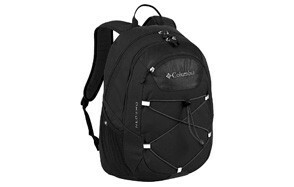 Whether for work, for trailing through the Amazon Jungle, or as a college backpack, with its roomy compartments, the Columbia Northport can accommodate any heavy files, textbooks, laptop, water and all the little snacks you need to munch on while you work out your next adventure, paycheck or even the chemistry formulas for an upcoming exam. This bag features a main compartment, an organiser and a tablet or laptop sleeve. It also comes complete with side pockets for all your little yet valuable items such as your phone, house keys or emergency snack. Use this bag during the week for all your academic or professional work and switch it up over the weekend, taking it with you on your usual road trip. Whether riding solo or going with your favourite buds, this backpack is an ideal container for you. Just like the Neosho Daypack, the Columbia Sportswear Tamolitch Pack is a great bag to use as a backpack for work. It fully defines the term ‘organisation’ as it provides users with many sizeable pockets to store all their precious and vital items safely. Made from a very durable polyester fabric, the Tamolitch Pack is a large bag with multiple storage pockets, a set of contoured shoulder straps made with high-density foam, a mesh back panel for breathability and added comfort. It also provides you with a space designated for your water bottle, helping you stay hydrated during your many work travels and adventures. There is also a laptop sleeve which can store your tablet, an organiser where items such as pens and other school supplies can be kept and two front stash pockets for your keys and phone. Store everything in the Tamolitch and feel confident that your items are in one secure space. 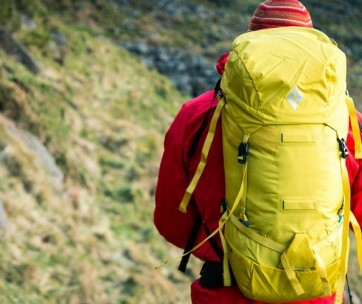 The Columbia Beacon Daypack Backpack is another ‘ultimate’ backpack currently on the market. For an affordable price, it offers you a multitude of features that make it comfortable and exciting to use. It is an ideal backpack for travellers, students, and workers alike as some of the features found in this polyester and nylon constructed bag are its TECHLITE shoulder straps that ensure the ultimate comfort. This includes a compartment that accommodates laptops with widths up to 17 inches, a dense EVA foam shock absorbing insert found beneath the laptop compartment, reflective safety accents, a removable hip belt, pockets for electronics, compression straps and an elastic stow pocket. The Beacon Daypack also offers a rescue whistle attached to its exterior, besides two water bottle pockets. Overall, this is a versatile bag ideal for both school and adventure, and we wouldn’t have it any other way. It can also be used as a gaming backpack because you would be able to pack all the gaming equipment you need handy. Another equally versatile bag loved by consumers all around the world is the Columbia Circuit Breaker Daypack, a container constructed from both nylon and polyester. This backpack is just tremendous and features everything you will need in a bag for work and exploration. The features found include a padded laptop compartment which is also tricot-lined, a pocket specifically made for your electronics, spaces for two water bottles, a deluxe interior organiser, comfortable padded straps and reflective detailing. Carry this bag along to work on a daily basis, as a laptop bag, and later escape from that boring meeting with your boss for an evening out with friends without stopping by your house for a switch up. This multifunctional bag can switch its purpose in the blink of an eye. At some point, we might have to purchase a diaper bag. Chances are, we wouldn’t want the whole world to know precisely which bag of ours is a diaper bag, which is why we would opt for the Columbia Carson Pass Backpack diaper bag, a diaper bag that still looks like a regular backpack. With its padded back and adjustable straps, this bag features reflective stitching for dim are visibility and breathable mesh panels to make wearing it more comfortable. The Columbia Carson Pass has an easy access main compartment that can hold all your necessities. It even comes with a unique space just for your baby’s pacifier, and three types of pockets; thermal, mesh and exterior zippered. There is also a padded change mat with a secure wipe clean surface. The bottom of the bag’s main compartment features Microban, which protects you and your baby against bacterial stains and odours. A perfect gift for new dads. You have come across various backpack brands and several kinds of backpacks, but you’re yet to experience the satisfaction that comes with using the Columbia Sportswear Hackers Creek Day Pack. Step into the Columbian light and experience greatness from something as little as a backpack. This bag is unique. It is a multi-functional daypack that blends into both formal and informal settings effortlessly. Made from polyester, this bag from Columbia comes with a pleasant rugged design, a PE board for additional support, an air mesh padded back and contoured shoulder straps that maximise your level of comfort. Pack all your essentials into this backpack with ease, from your smartphone to your books. There is a soft-lined compartment designed for your iPad and an organiser for all your school and writing supplies, in addition to a front slash pocket. Carry this bag with ease using its web grab handle and enjoy the benefits of owning such practical beauty. Be sure to also check out our list of the best stylish backpacks for men for more great items like this. Protect your gear with the Columbia Celilo Daypack. This bodyguard backpack not only protects all your most precious equipment; it also looks out for you as you go on your next adventure, which may be more strenuous than the last. The Celilo is a bag designed and proportioned for women, from the overall frame to its high-density foam shoulder straps. Its laptop compartment which is also soft-lined, is a spacious main compartment in which lies an accessory sleeve for your favourite laptop and a water bottle space to help you keep hydrated during your hike. To keep your valuable and delicate items such as eyewear and electronics, the Celilo has a soft-lined organiser compartment with zippered mesh pockets. This daypack comes with dual secret travel pockets, extra spaces for your last minute packing items. Take your next trip by the horns, grabbing your Celilo by its trekking pole holder and hit the road. Our handy guide to the best solar powered backpacks features more great products like this. With Columbia, quality never ceases. No doubt this is why the Columbia Omni-Shield Manifest laptop backpack exists. The Omni-Shield pack is excellent both for college and work users. Even during your next quick vacation trip, you can grab this one along to ensure nothing gets lost. It features a main compartment with a security zipper pocket, a back pocket designed specifically for your laptop, dual stretchable water bottle pockets, and mini storage pockets for any additional items you would love to include as you lock up your home. Take this bag anywhere, from your lecture hall for your trip to Greece and everything in between. Love this product? Check out our review of the best Timbuk2 backpacks for our top picks. You can now get up and get active with ease thanks to the Columbia Sportswear Varsity Day Pack. This bag is a lightweight and sturdily built entity that keeps your back safe from all the weight of your sports gear. It can also accommodate your laptop in its protected sleeve and still have ample space for all other after-work necessities such as your gym wear and sneakers. Its padded shoulder straps and back make wearing it continually a comfortable experience, no matter what has been placed inside. The Varsity daypack features a front pocket organiser that helps you store items intuitively, with extra spaces provided for your writing supplies and electronics. The fun thing is that you can choose from several colour options, and have a personal bag that radiates your personality while it offers you endless comfort. Find more great products like this by checking out our guide to the best soccer backpacks. The Columbia Fairview Backpack is a hybrid bag with the characteristics of both the classic rucksack and a technical pack. This combination has given rise to a highly reliable backpack that is unique in both design and functionality, making it stick out like a sore thumb for all the right reasons. With features such as expandable side pockets, a zippered main compartment, a large stash pocket and a soft-lined accessory pocket, this bag gives you ample room to store anything you will need handy at your next destination. Store items such as your phone, clothes, boots and gear in this considerable rucksack. Use this bag for your next day hike, as it comes with a waist belt and a removable sternum strap and its hydration compatible design. Don’t forget to also check our guide to the best canvas backpacks. 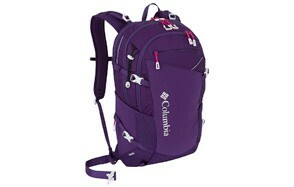 Give the Columbia Omni-Shield Silver Ridge Hiking day pack a chance by making it your next bag. This is one of the best Columbia bags on the market and features a hydration hose port and pole loops, an adjustable side compression strap system, the main compartment and two spaces for water bottles. This backpack can be carried for long hours without worrying about back pains and aches, thanks to its shoulder padding. Use this bag for your daily activities and enjoy life to its fullest. Make sure you also check our guide to the best gym bags for more great items like this. The brand popularly known as Columbia has been in existence since 1938 and has been developing and designing gear meant to encourage people to explore the world around them often. Their bags are also made for experienced adventurers who can't seem to get enough of the outdoors. Based in Portland, Oregon, this brand over its 80 years of existence still ensures that every accessory, apparel or footwear manufactured is a no-nonsense entity that can protect you from the many elements of nature, no matter what. Some of the things that make Columbia unique are its irreverent spirit, innovation, Pacific Northwest heritage and family business ethos. All employees of Columbia are chosen if they show amazing talent, hardworking traits and an immense passion for the outdoors. Even though the company is based in the great Pacific Northwest, their products have reached far and wide, making waves all around the globe. Concerning materials, Columbia explores the use of various materials, dependent on the desired outcome regarding aesthetic and function. All their products are designed and manufactured such that the process requires a minimum amount of raw material and components, reduced levels of water and energy to protect the environment. They use the bluesign system to ensure that all chemicals are kept out of the manufacturing process. This system is used to make sure that all products created to meet the strictest chemical requirements for safe usage by consumers. Some of the materials used by Columbia are leather, down, nylon, polyester and dye. All dyes used have significantly low amounts of water, preventing wastage. Columbia also encourages their consumers to bring in all used shoes and clothing for rejuvenation. This project has diverted over 7,000 lbs of footwear and apparel from landfills to Columbia's ‘ReThreads’ recycling program. They are a sustainable brand that thinks ahead of everyone else.